Professional carpet cleaning has a plethora of benefits. In addition to routine care and maintenance; vacuuming, spot removal, and so on, professional cleaning can offer improved indoor air quality, longevity, overall condition, and aesthetics. It is recommended by manufacturers and other affiliates in the industry that carpets get professionally cleaned once a year and more so if needed. Stains are not the revealing sign you need carpet cleaning necessarily. 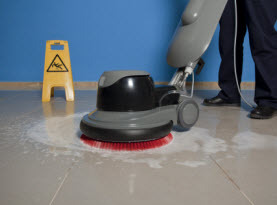 There are other factors that point to the carpets need for a deep cleaning. With that in mind, we at CA Carpet Cleaning and Water Damage Clean Up would like to relate the signs that indicate your carpets require a comprehensive deep professional carpet cleaning. Signs You Need to Hire a Professional Carpet Cleaner Now! Prior to getting into the red flags carpets need cleaning, there are reasons as to why the professional cleaning is essential. Foot traffic on top of the natural dirt and debris that cycles through the air and settles on the surface, cause the particles to embed deep into the carpets. Where routine vacuuming can significantly reduce the volume, it only removes the surface layer and over time the build up of dirt and debris will still accumulate. Dirt is a natural abrasive substance; foot traffic is the friction, creating a sandpaper-like effect. 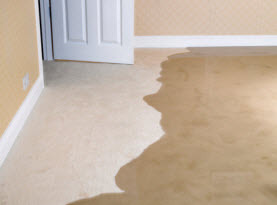 Spills are another problem for carpets as well as odor causing pet accidents. If any of these stains persist, the harder they can be to remove; making it essential to treat accidents as quickly as possible. 1) Faded and dingy carpets. Carpets will look dingy and faded over time. 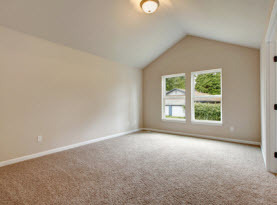 The deposits from the foot traffic and direct sunlight coming through the window will cause the carpets to look dingy and faded. Along with preventative measures, such as keeping the blinds and curtain closed during the peak sunlight hours, as well as area rugs, runner, and walk-off mats as well as professional carpet cleaning can keep the carpets looking vibrant and sharp. 2) Excessive allergies. Allergies are triggered through a number of contaminates that are collected on the carpets. Those who suffer from allergies and asthma may see a spike in symptoms frequency and duration that include sneezing, difficulty breathing, eyes tearing up, and runny noses more so than normal, than you are due for a professional cleaning. Asthma suffers and respiratory issues are also more excessive the more dirt, debris, allergens, and residues accumulate on the carpets. 3) Odors emitting from carpets. 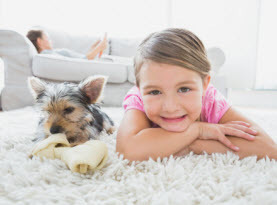 Odors are a common occurrence on carpets, whether the derived from pets accidents, spills or other sources. In many cases some odors have unknown origins. In some cases, home remedies are simply not enough to neutralize these odors and they will only continue to worsen as time progresses. In order to effectively neutralize the odors, professionals are needed to attack the deep within the fibers. When your carpets are due for their annual cleaning, or they are demonstrating the above mentioned warning signs, call in the experts of CA Carpet Cleaning and Water Damage Clean Up. Our specialists will perform a deep comprehensive carpet cleaning that will leave your carpets cleaned, sanitized, and deodorized.